Live Real time commodity prices, quotes, commodity market, gold, silver, crude oil, copper, ethanol, Platinum, natural gas, commodity market Live prices for Corn, Crude Oil, DJIA, DJIA (E), DJIA Mini-Sized, E-Mini Nasdaq 100, E-Mini S&P 500, E-Mini S&P Midcap, Ethanol Futures, Gasoline , Gold, Gold Mini-Sized, Heating Oil, High Grade Copper, Ice Brent Crude Oil, Nasdaq 100, Natural Gas, Nikkei 225, Nyse Composite, Nyse Gold, Nyse Silver, Palladium, Platinum, S&P 500 Index, S&P Midcap 400, Silver, Silver Mini-Sized, Soybeans, Wheat, and many more. NOW WATCH LIVE MCX, NCDEX, FOREX , NSE, BSE, ON YOUR CELL. On cell phone you can watch BUY PRICE, SELL PRICE, L.T.P. HIGH, LOW NET CHANGES, MARKET DEPTH, CHART. 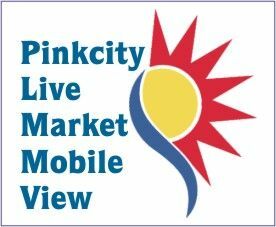 MARKET VIEW ON MOBILE (MVM REAL TIME SOFTWARE ) IS AN EASY-TO-USE, USER-FRIENDLY APPLICATION FOR ANY END-USER. , A MARKET PARTICIPANT GETS ACCESS TO EQUITIES AND COMMODITY EXCHANGES ON A REAL-TIME BASIS FROM ANYWHERE AND ANYTIME.